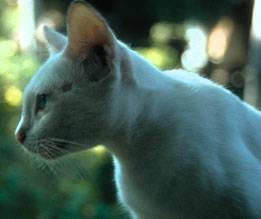 Thai Cats Main Page | Siamese | Oriental Shorthair | Copper | Moew Se Sawat | elija home page | email us! 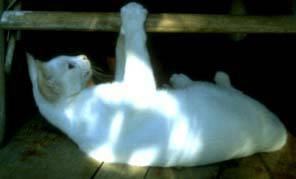 One of a whole family of Khoa Manee (fully albinistic) cats living in the "Ziggy Stardust" bungalows on the island of Koh Samui. 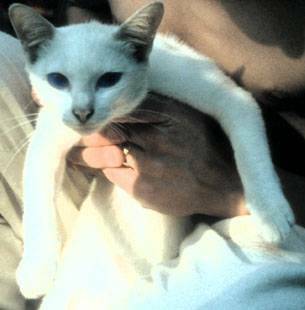 This kitten was a delight to all residents, despite being completely deaf.